I've been working on the Rosemary bread from Macaroni Grill for a while now. I've come close but it still needs tweaking. I could eat the entire loaf myself though, yum! I am also a fan of changing the recipe up a little though to get something with the same flavor profile but a different product. 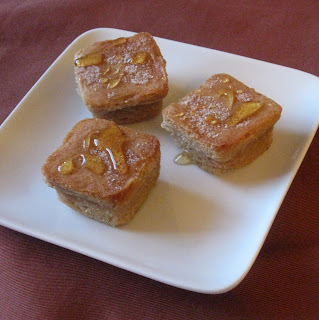 For these I made a buttery cinnamon blondie, sprinkled it with sugar, and drizzled them with honey. This recipe is in the Linky Party over on Sweet as Sugar Cookies for Sweets for Saturday. 2. 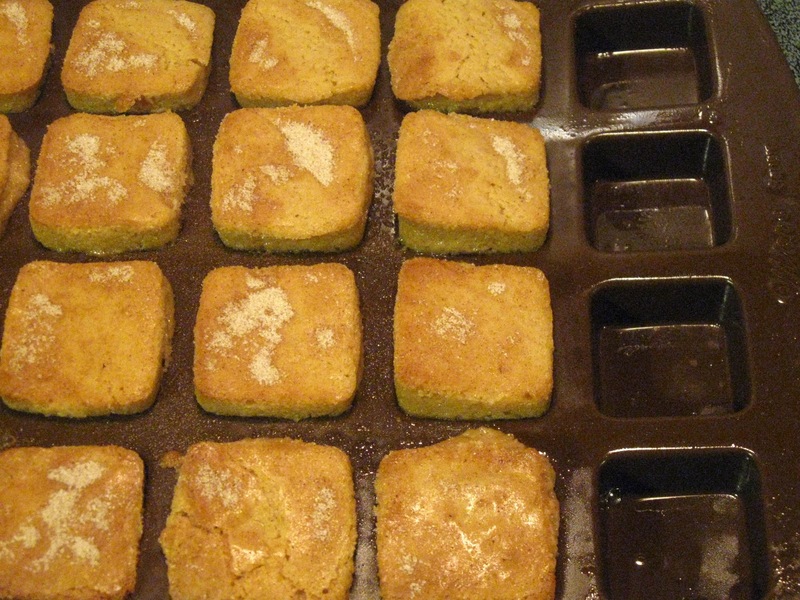 In a mixer, blend together butter and sugar until mixed well. 3. Add vanilla and egg, mix until blended. 4. Add flour, salt and cinnamon, mix until just blended. 5. 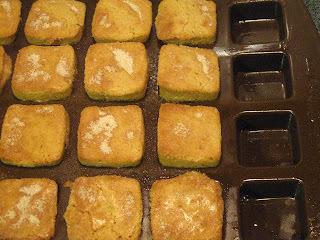 Scoop about 1 tablespoon into each cavity in a lightly greased pan. 6. Mix together the 2 teaspoons of sugar and ⅛ teaspoon cinnamon. Sprinkle evenly over the batter in the pan. 7. Bake for 15-17 minutes, or until light golden brown. 8. Cool on rack in pan for about 10 minutes. Remove from pan to cooling rack. 9. 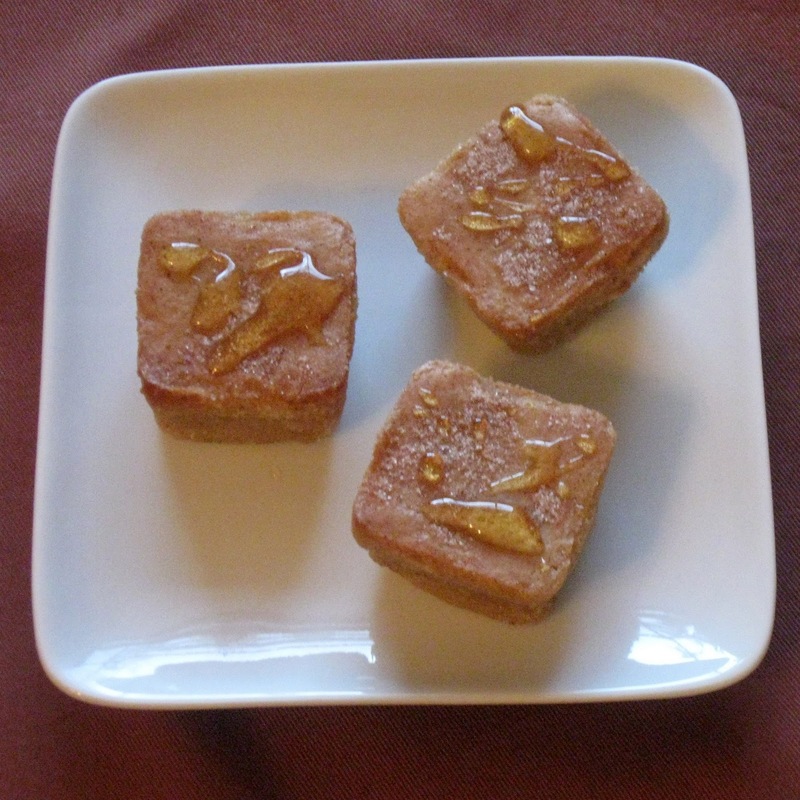 Drizzle with honey before serving. I'm so glad you like my blog and thanks for following me :) I will definitely check out your blog! These look so good!! I saw them on the link up on Sweet as Sugar Cookies blog.